Soak in the best views of San Francisco with the Mermaid! 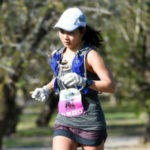 Choose from the challenging Sirena10 mile run that crosses the Golden Gate Bridge or the flat and fast 5k, 10k that take you around Crissy Field. We also offer a virtual option to run the event in case you can’t attend in person. All distances include classic views of San Francisco Bay, Golden Gate Bridge, and San Francisco skyline. Mermaids receive a stylish race shirt, finisher necklace, and medal. Walked this with two friends while my daughter ran the 10K. Took a nice slow walk, accommodating a friend with a bad ankle. Will plan to do this race again next year. Maybe by then I’ll be running! girls, necklaces and hot pancakes! this is an awesome event to participate in, whether you’re a runner, walker, veteran, 1st timer, adult, child or infant. there are 2 distances to choose from: 10k and 5k, and you can run or walk either of these courses. i ran the 5k in nov 2010, and i remember it being a great event. we also had terrific weather, a beautiful, clear, sunny day, to boot. *lots of post-race food & drinks, including chocolate chip pancakes!! this was a terrific event, well-organized and family friendly. if i still lived in sf, i would definitely participate again. No medal but a little pendant. It was confusing as I approached the finish line. Crowds of people standing around so I couldn’t see where to enter to get to the finish line. Needs more variety for snacks at the end of the race.